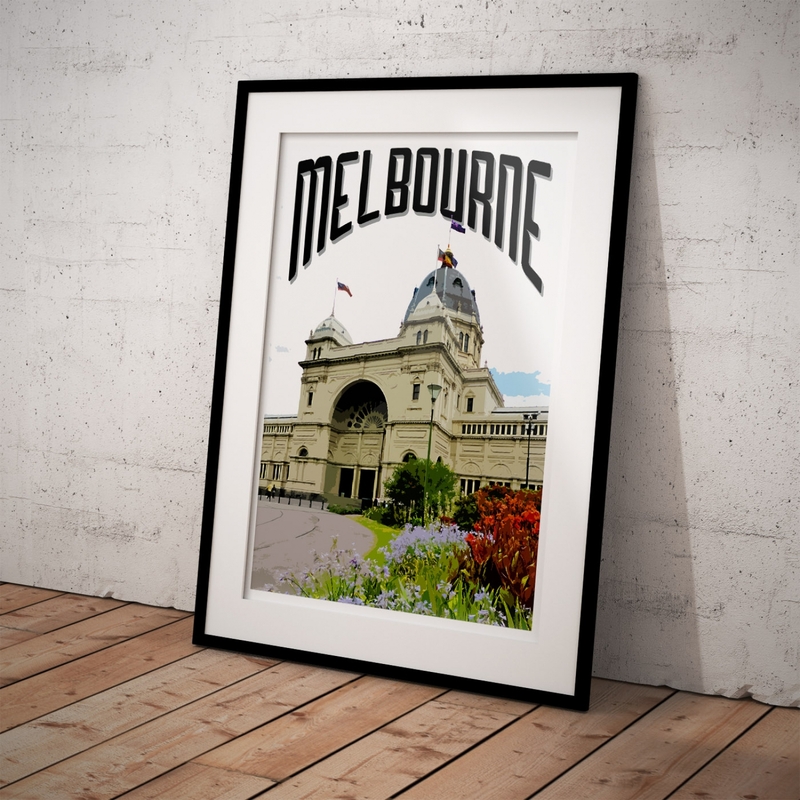 The Royal Exhibition Building in Melbourne surrounded by the Carlton Gardens. 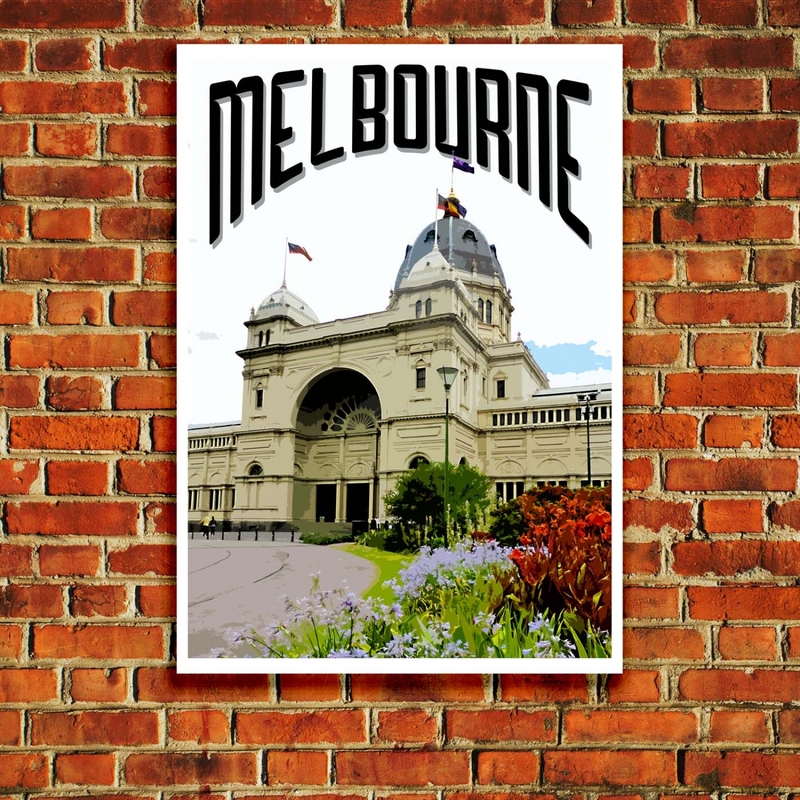 The building was built for the Great Exhibition of 1880 and remains one of the world's oldest remaining exhibition pavilions. 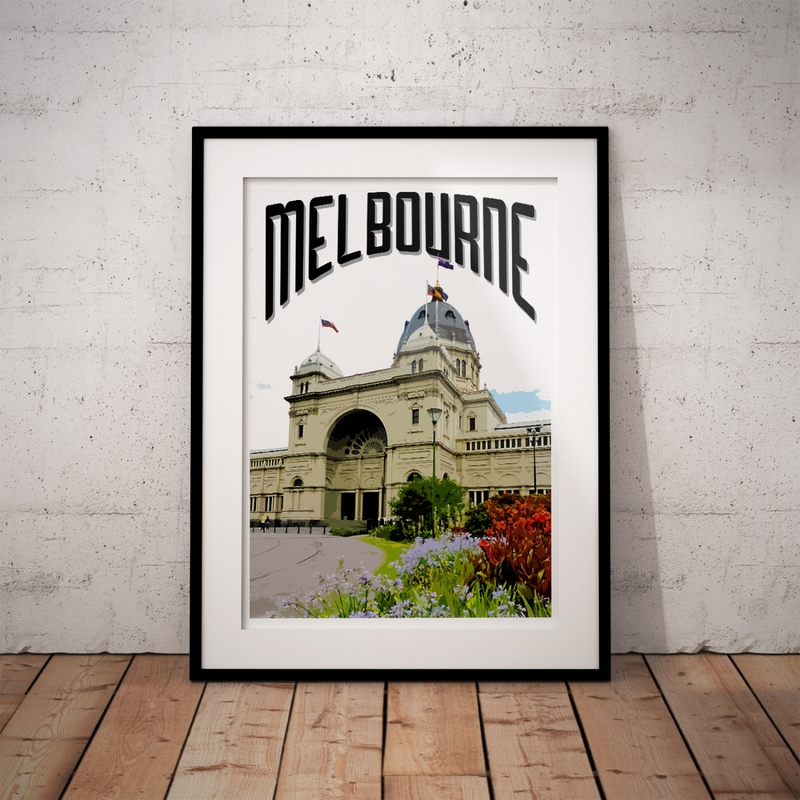 From 1901 it was home for the first Australian Commonwealth Parliament and in 2004 was the first building in Australia to attain a World Heritage listing. 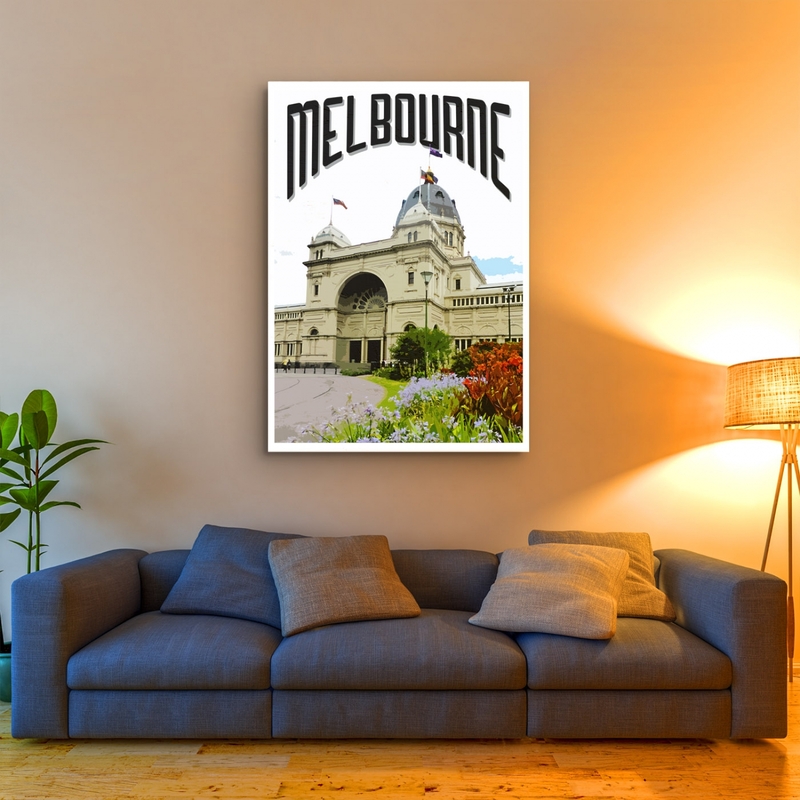 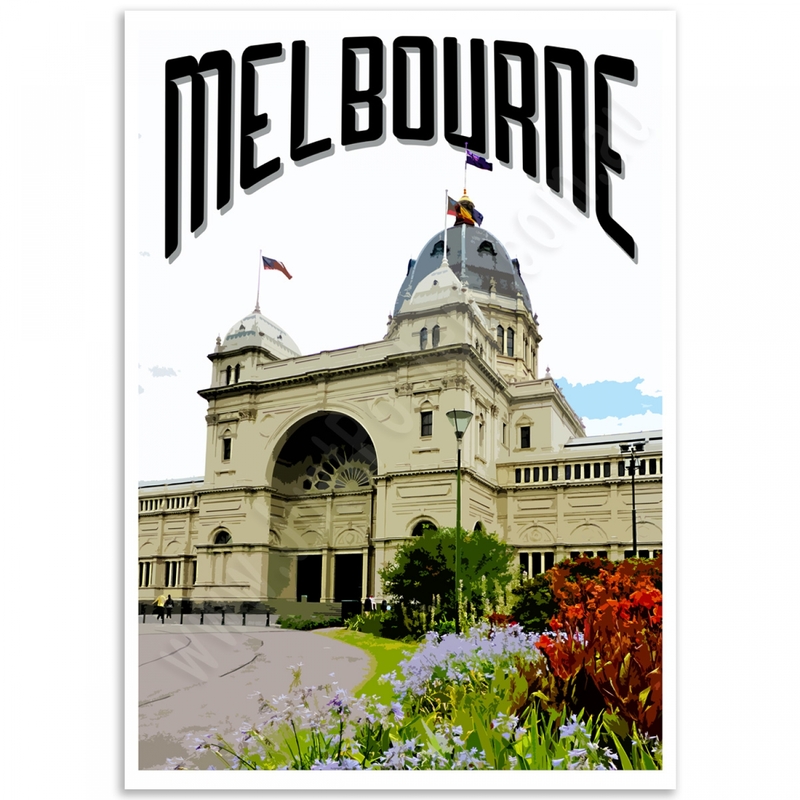 The "Royal Exhibition Building - Melbourne" Poster is a reproduction of an original photograph.